It grew amazingly quickly. We've had quite a lot of rain, and that helped. 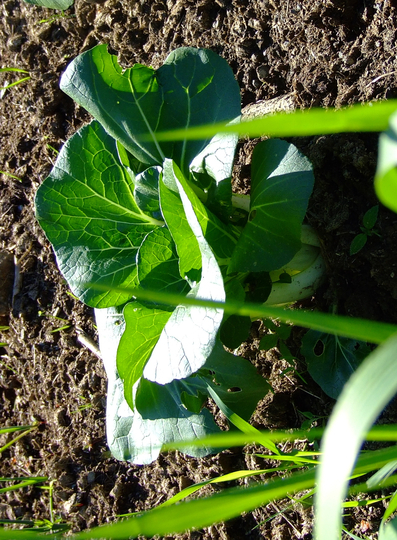 This photo is of species Bok choy.